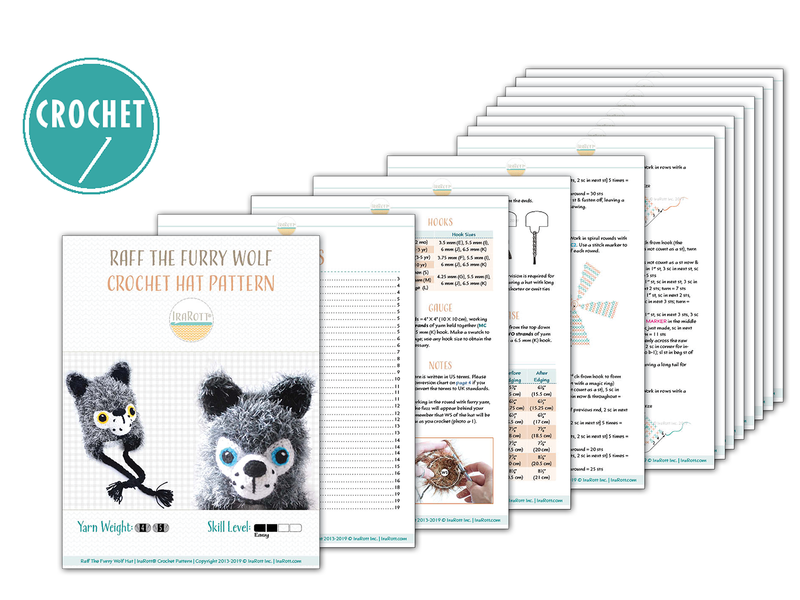 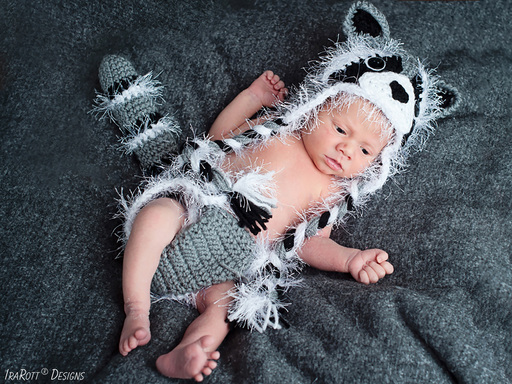 Raff and Rolf the Wolves PDF Crochet Pattern - IraRott Inc. 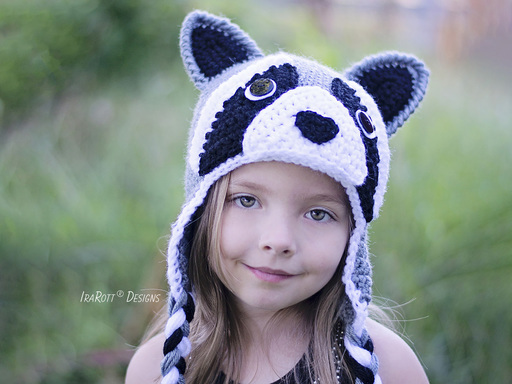 FORMAT: PDF, 22 pages, 4.45 MB (mobile devices friendly). 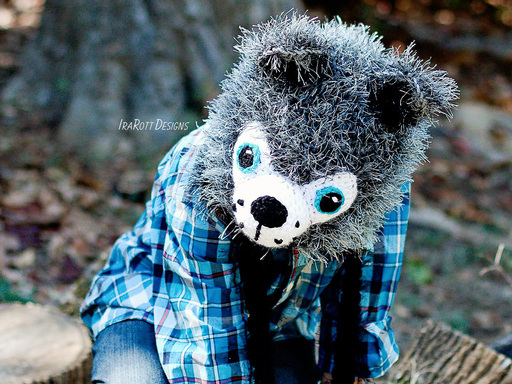 Language - English. The pattern is written row-by-row using US crochet terms, diagrams, and step-by-step photos (easy to follow). 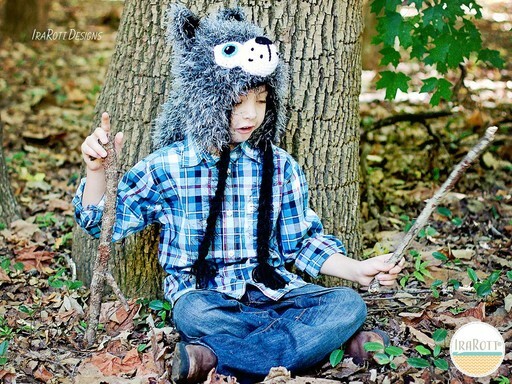 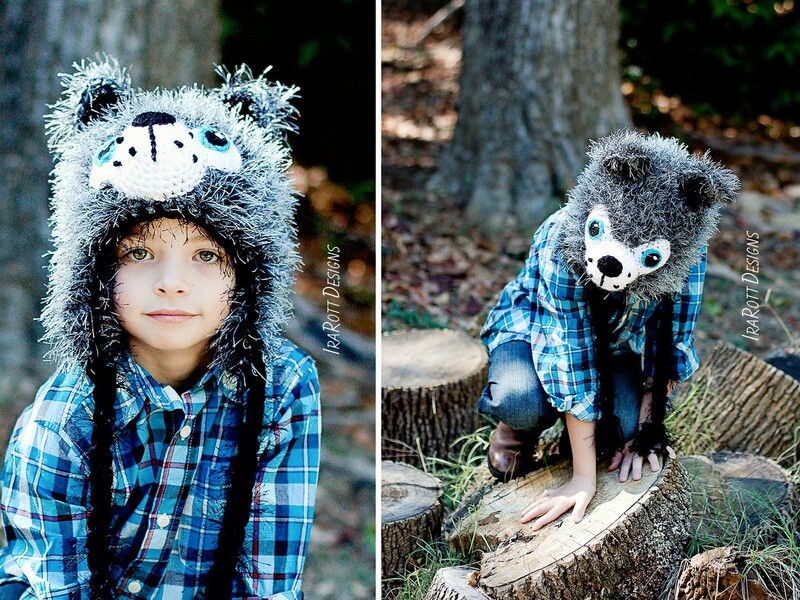 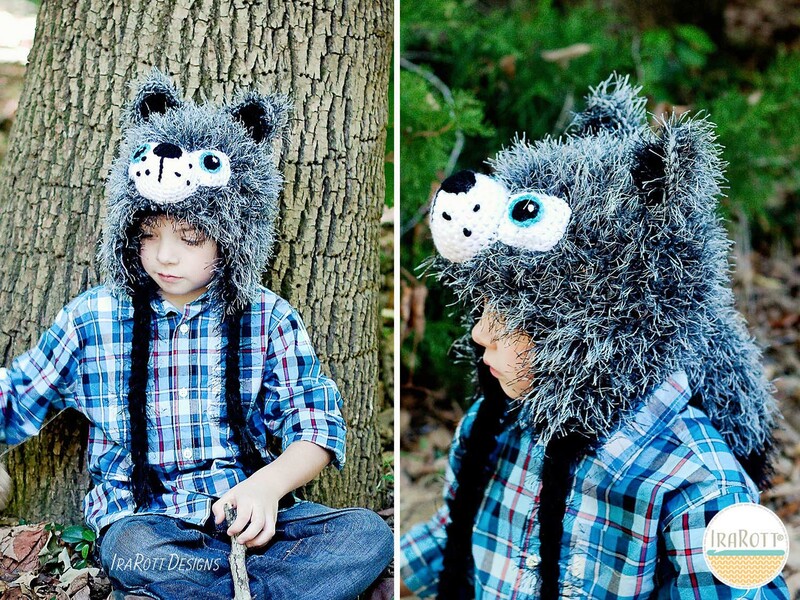 Both styles are included in the pattern: Furry & Non-Furry Wolf Hat, that could be made with or without a tail. 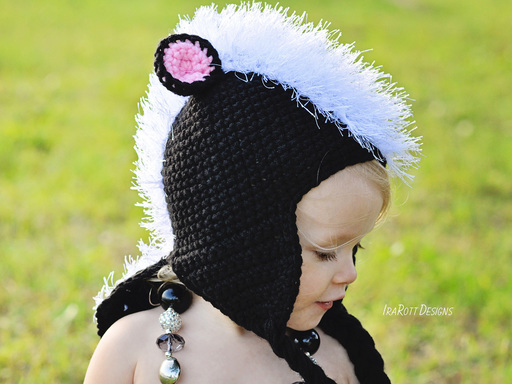 SKILLS: Chain, single crochet, double crochet, half double crochet, slip stitch, increasing, decreasing, working in the round.